However, there are quite a few users, who want to customize the UI, which is easily possible. Let me show you how. For sakes of simplicity, I’ll demonstrate the gray, default appearance only. However, it works exactly the same way if you prefer the dark style. Please note that in rare occasions, the sidebar will be restored when restarting VLC 2.0.1. This issue is resolved in VLC 2.0.2. How to do that? just click on the playlist button while no video is playing. 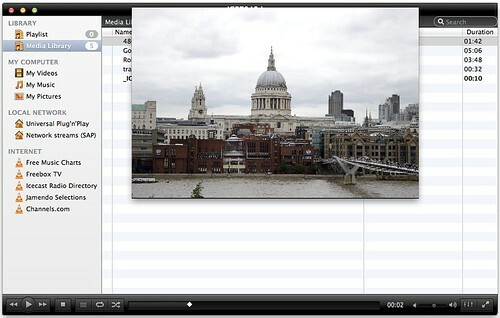 Once you started video playback, the window will expand to make room for the video. Once the playback stopped, it will resize again to show the controller only. We hope that you enjoy using VLC 2.0 as much as we do. This window will get further refinements in future releases such as the ability to resize it using the mouse (instead of hotkeys) on OS X releases older than Lion. Note that you need to restart VLC after changing this setting! Absolutely love VLC 2.0. Every time there’s a major change, there are people that freak out. I for one LOVE the new design. It is beautiful, much more Mac-like and much more usable. Would however like to see you add a Sidebar *toggle* under Preferences – Interface, that entirely disables that UI element so that people won’t have to do it manually. That serves two purposes – it helps the newbies that wouldn’t realize you can drag the bar, and it helps the designers (like me) who can still see the “1 pixel” wide bar on the left hand side of the playlist, hehe. Many thanks! great tips! i hated the new setup and miss the controller interface from previous versions. 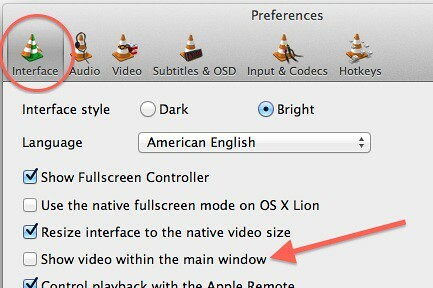 How come VLC ignores Mac users when it comes to customizing the control interface? @ struts: we listen to our Mac users quite thoroughly, since they account for 25% of our total downloads. The ideas behind the 2.0 interface were deeply involved by our users. If you miss the Qt4 interface’s flexibility you might know from VLC for Linux or for Windows, I’ve got to say that this isn’t easy to achieve with Cocoa. However, we are currently collecting ideas for further customization options, especially regarding the buttons in the control area. 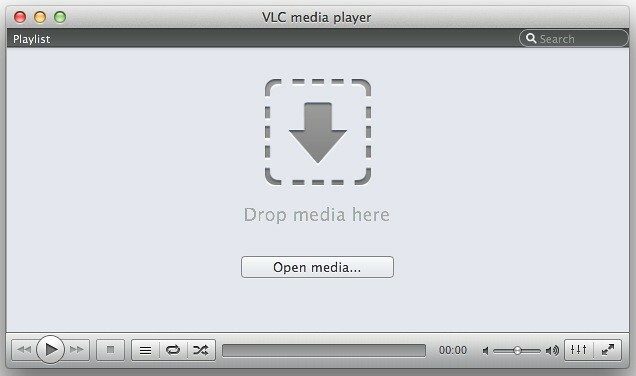 My main problem with VLC 2.x for Mac is buttons. on Win & Linux i can (and do) add a ‘record’ button to the nicer UI this cant be done with Mac. I have to use the ‘Soundflower’ app to record audio streams i am listening to & record with Audacity. the Usability in this respect is not logical and is counter-intuitive to me, and i am no new PC user, having beed around since z80/6502 days and Linux 2.0.35 – Thankyou all for the code ,, its great ! Thanks a lot for your response, and for considering such a sidebar visibility toggle. 🙂 Cocoa has a setHidden:TRUE property. Would that work or is the sidebar an incompatible UI element type for that property? You mean you want to be able to add/remove controller bar buttons, and re-order them, etc? Sure, that would be nice to have, but is it really needed? No, you can achieve everything with keyboard shortcuts. The design they’ve settled on for the fixed bar gives you everything most people need, like next/prev/fwd/rwnd/play/pause/stop, playlist, repeat, shuffle, seek-bar, time indicator, volume, equalizer, and fullscreen toggle. What more could you possibly want? If you want more, then just use the keyboard shortcuts. They’re under Preferences – Hotkeys. There is actually *one* thing I am really bothered by in VLC 2, and it’s really the *only* thing that I dislike; it’s the fullscreen overlay-controller’s size. It’s now a bit taller and nearly 50% wider than the old controller bar. As a result, it obscures the video no matter where I place it. Would it be possible to add a Preferences – Interface slider for the full-screen controller scale? When you’re sitting right next to a monitor, there’s no need for it to obscure such a huge portion of the screen, and it’s really annoying even on 1920×1200 monitors. I have a dual monitor setup and actually move the controller mid-way between the two monitors JUST to have it obscure less of the video. THAT is how annoying it is. I’ve seen other people with this annoyance on the forums as well. Looked into Cocoa’s scaling a bit and it seems there’s no way to just set a scale for the outside container-window and have all UI elements inside it re-scale (unless stackoverflow.com/questions/5603748/how-to-implement-zoom-scale-in-a-cocoa-appkit-application is applicable here), but it WOULD however definitely be possible to programmatically and dynamically set the UI element sizes and positions individually, based on a factor of the scale slider. So it IS doable and would really be useful. Think of this: Sitting right next to the monitor = you want a small scale. Having a low-res monitor = you want a small scale. Having a super-high res monitor = you want a large scale to be able to see it. Outputting to a TV = you want a REALLY large scale. And so on. A scale slider would be very useful, even though it’s definitely a low-priority task in the grand scheme of things. Chris: since the sidebar is part of an NSSplitView, this method isn’t available. However, there is an API available with a similar functionality. Regarding the fspanel, I’ve seen the reports and will discuss internally what to do. At present, there are 2 states: small and big. The decision which one to display is based upon the screen size the video is displayed on. Ah, I suspected as much (NSSplitView), but wasn’t sure if it was that or something you had custom-made. That’ll solve how to allow dragging to the side to completely hide the divider as well. To do this via a preference toggle, you might make the toggle set the divider-location programmatically (hiding enabled = location all the way to the left thereby hiding it; hiding disabled = set it back to default location). As for the fullscreen panel, see if you can do the thing mentioned in the stack overflow thread I linked to earlier. If that’s not available, I think the only way is to programmatically set all sizes + positions at runtime based on the preference slider value, and that would take some tricky algorithms to make it place all UI elements neatly and evenly, but it’s not really that difficult. 🙂 Basically you’d keep an array of the rectangular sizes of each individual fspanel element, including the frames, at a “defined” scale (let’s call it 100). When the UI scale slider is set to the middle, it’s equivalent to 1.0 scale (100%) and uses those values. For larger/smaller values, it scales each value up/down and tells the UI-elements their new sizes. The rest will be the trickiest (and still quite easy) bit of figuring out an algorithm that sets the POSITIONS of all UI-elements. Of course, all of that is only required if there’s really NO other way to scale an entire window and its contents. I am not sure there is, as I’ve never done that myself, and Google is not providing many clear answers apart from that stack overflow thread. The really long developer.apple.com URL got messed up above, but it’s still clickable. Just scroll down to the “shouldHideDividerAtIndex” bit. @struts: Oh, you are using a dual-screen output where one screen goes to the TV and another is your desktop monitor. Yeah, VLC2’s new default is to play video inside the main window and not have a separate controller bar. However, you can get the old behavior back (that’s what the article you just read here was about). I also recommend setting Style to Dark under the Interface tab, because it’s a really slick style that matches QuickTime Player X. Now, with these options, you will be able to queue up videos, play them in fullscreen on your TV monitor, yet still retain a full control bar/playlist on your computer monitor to control playback and choose files. How do you get main VLC window to always open when dragging a file onto the VLC icon. I’m constantly getting sound but no window. Have to double click on the apps icon to make the window show. I’ve recently switched to Mac. I downloaded VLC to my iMac but I had a terrible surprise: somehow I can’t customize the hotkeys! I really need it for my work (especially the option for “small skip backwards”). I go to Preferences > Hotkeys, I modify stuff there, save with no warning message or anything, but it simply won’t work!!! @Barney: this is fixed in 2.0.2, which will be out shortly. @Carmina: did you restart VLC after changing the hotkeys? @Feilx: Gosh, I feel a bit silly right now. You’re right, it worked. I guess I was too used to my Media Player Classic Home Cinema -no need to restart there after changing keys. Thanks a lot, Felix! Hi there and thank you for your great work. I do however have one complaint or it might be a lack of technical knowledge. I’m on a Mac Os X using VLC 2.0.1. The play/pause bar that shows when using VLC in full screen mode, I don’t know what it’s called which makes it a bit hard to try and change any preferences for it. I’ve tried to google my problem but it seems there’s no way to change its size. Is that so? It’s very, very big. I’d like for an option to either to make it smaller or to disable it all together since I’m using key shortcuts anyway. Also apologies for my bad english. @Anita: This huge fullscreen controller is the result of a (failed) experiment since some users complained about it being too small in previous releases. VLC 2.0.2 will include a regular sized one again, which is automatically enabled (there will still no option to change its size). VLC 2.0.2 will be available later today. @ Anita: ad1: of course you can also disable the fullscreen controller completely. it’s a bit hidden. Go to VLC’s preferences, click on “Show All” on the bottom left and navigate in the appearing list tree (left hand side) to Interface -> Main Interface -> macosx. 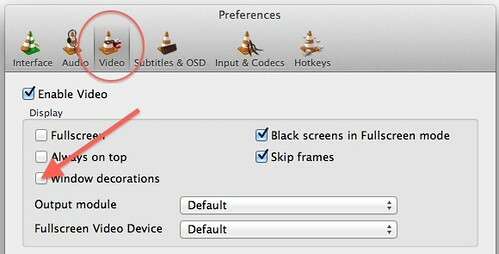 The 3rd option is “Show Fullscreen Controller” – uncheck the box and restart VLC. You guys are no fun. us Windows users should have gotten a new look but you decided to leave us in the dust!!!!! Booo!!! I’m NOT USING VLC UNTIL THE WINDOWS VERSION GETS A NEW DAMN LOOK! @Kamran: VLC is mostly developed by volunteers in their spare time. Since I never coded on the Windows platform, I won’t start doing so after work. However, there is a small number of people interested in beautifying the Windows port, so stay tuned! I am very appreciative of the many new features that you put into 2.x, but I do have one question. I loved having the video only window (without the chrome or controller), and although I can still have a separate video window, I do not see any options to remove the controller and chrome. Is there still a way to do this? @mroosa: The requested feature isn’t covered by this post, since it wasn’t present in VLC 2.0.1. However, it was reintroduced in version 2.0.2, which is available for download now. Go to the Video preferences and disable the “Window decorations” option. Restart VLC afterwards. Ah! Thank you for that tibit, Felix! I never would have realized that was the trigger! I love how much I can customize the app but the two things I want to do together I can’t do. I want it so I can do these two things simultaneously so I have a thin controller window (w/o the playlist) and just the decoration-less video window. @Mohammad: This works just fine for me. Just keep in mind that you need to restart VLC so the window decoration option takes effect. When I restart the application and have the playlist hidden, the decoration-less video doesn’t show. But when I show the playlist and restart the application, it does. Hey there! Great information, thank you! I have a question regarding adding files to playlist by right-click on the file on mac? I just changed from Windows and I don’t know how to fix this on mac… Do you have any good tips for this problem? 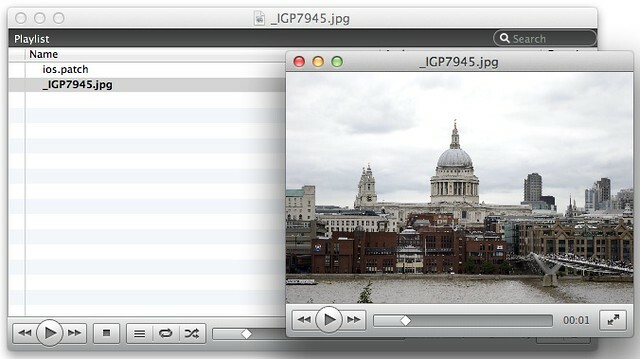 @Alba: On the Mac, you can right-click on files to open those with VLC. This way, they are automatically added to playlist. However, playback starts instantly. There is no way to append them to the playlist at this point, unless you drag the files from the Finder directly into the playlist’s table view. First of all, thanks for the praise. Your described behavior is weird. Could you go to the Preferences screen (VLC menu), reset the preferences using the respective button, restart VLC afterwards and see if those issues are gone? If not, I’d invite you to post them on http://forum.videolan.org so we can dismantle them further. A few questions here about using VLC as a presentation tool. Can I set a delay, so I have time between when I click a file in my playlist and it starts playing? I need a second or two to select the fullscreen button so it shows up on my second (presentation) monitor. Also, I can’t find an option that keeps the next file in my playlist from playing as soon as the previous one finishes. Is there a way to play them manually? Nope, you can’t set such a delay. However, you can enable fullscreen mode prior to starting playback as well as the desired fullscreen output device (check the Video menu for both options and make sure that you have VLC 2.0.5 or later). For the other thing, go to VLC’s Preferences (VLC menu), click on “Show All” on the bottom left, then on “Playlist” and enable “Play and stop”. Be sure to restart VLC after changing the latter option. Great! The Play and Stop solution is perfect. I wish there was a way to set the fullscreen option as default for at least the entire playlist. It looks like I have to reset it for each file I play. But it’s better than what I was working with before. Thanks! I hope you can help, I’ve run into a new issue. I’m setting up VLC on a new device ­ the laptop I will actually use for my presentation (MacBook Pro/OS 10.8 with VLC 2.0.5). I’m having trouble configuring playback on a second screen. The second monitor displays the output from the laptop, but I cannot get the VLC output to route to it. Yesterday, when I was using an iMac connected to a 1080p plasma it worked great. Now, all the video just plays out on my laptop. Is there a VLC setting I have overlooked? The Fullscreen Video Device option in the Video Dropdown menu is grayed out. Question about resetting hotkeys – I’m trying to simplifying cutting clips from videos. I’ve changed the hotkey setting for “Record” in Preferences, but under the Playback pull down menu, it shows a different setting. Will it change? Which keys are tied to Record, i.e. cutting clips from video? Thanks for any help! Can you add the ability to customize the % of volume changed by a gesture? I’m used to using two fingers up and down to change the volume but it changes it too much per each change. If that could be customizable that would be great. Also, if VLC could remember the last position a video was at before quitting so that when I start it again it’ll continue playing from where I last left off, it would rule the universe utterly and completely. Hi just downloaded version 2 for mac 10.7 and the controller size is ridiculously large compared to the earlier nice smaller version — how do I change the size of the controller – it is totally out of proportion to the size of the player? Please follow guidance provided in this post. This way, you can achieve a controller which is almost about the size of the previous 1.1 series. How can I make the track number always appear among the columns shown in the playlist windows (so that I could e.g. 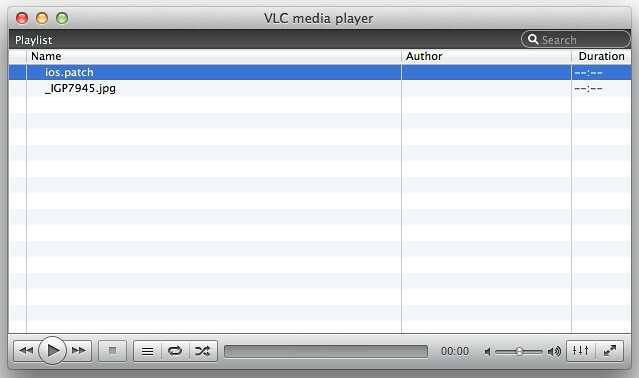 sort the tracks using track numbers) with VLC 2.0.5 in Mac OS X 10.8… ?? No, this is not supported by VLC 2.0.5 for Mac. However, it will be part of VLC 2.1, which is scheduled for release late this spring. So, being able to hide the playlist is good, so is being able to manually delete the items in the playlist … but is there anyway to completely turn the playlist function completely OFF? I’ve looked everywhere for this option within the preferences. No, VLC media player for Desktop requires a playlist for any playback, so there is no option to disable it. Sorry. That’s too bad. I really like your player, but It’s a pain to remember to delete the videos in the playlist every time I’m through watching clips, and I don’t want other users of my computer potentially seeing what I’m watching. Does VLC (VideoLAN media player) have an a-to-b repeat feature on the MAC side, if so can some one let me know because i cant find it. Not yet, but it will be part if VLC 2.1, which will be released really soon from now. is the a-b there yet for mac ?? This was introduced in VLC for Mac version 2.1, which was initially released last month and will be provided as an update to all the users very soon from now! 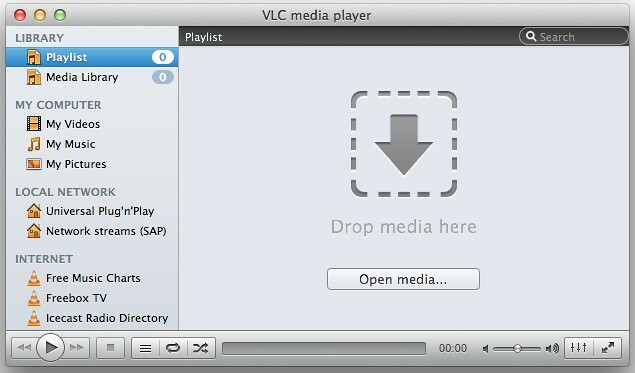 Those buttons will come back in VLC 2.1 for Mac very soon! How do I rotate by 90 degree? I’m on OS X and I’ve disabled window decorations but it does not have an effect on the player, despite restarting it multiple times. Is this a bug? This is hard to say without knowing the VLC version you are using. In any case, you should checkout the 2.2 RC2 build to see if you can reproduce this issue.